This post is sponsored by the Her Campus Blogging Network and PINCHme. All opinions are my own and 100% honest. "PINCHme gives you the unique opportunity to discover new products and try them for free. It's simple - you choose a product from one of our leading brands, and we then deliver it to your home or workplace for free. But be quick, we’ll reserve the products in your box for a limited time, to ensure that everyone has a chance of receiving the available products. Once you've tried, tasted or touched the exciting products we offer, you can leave your feedback. Start pinching now!!" I thought that this sounded awesome! I don't know about y'all but I love free stuff, and getting free stuff in the mail is even better! :-) I quickly signed up for the opportunity the try out PINCHme, and I was really excited when HCBN selected me as one of the bloggers to try it out! But what I didn't know is that you have to be ready to log onto the PINCHme website when their samples go live in order to claim them... and then that only times currently that samples are launched is Tuesdays at noon. I have French class here at school ever Tuesday from 12-1:15, and right after French I leave school for my internship! By the time that I'm done with class, internship and dinner on Tuesdays it's passed six, and every Tuesday evening when I logged onto PINCHme all of the samples for that week were already claimed. Since I was doing PINCHme for the HCBN project, one of Her Campus's staff members was able to contact them on my behalf and still have samples sent to me even though I was unable to get online when samples were released. But I have to say that I think the fact that samples go out only on Tuesdays at noon is a flaw of the website! 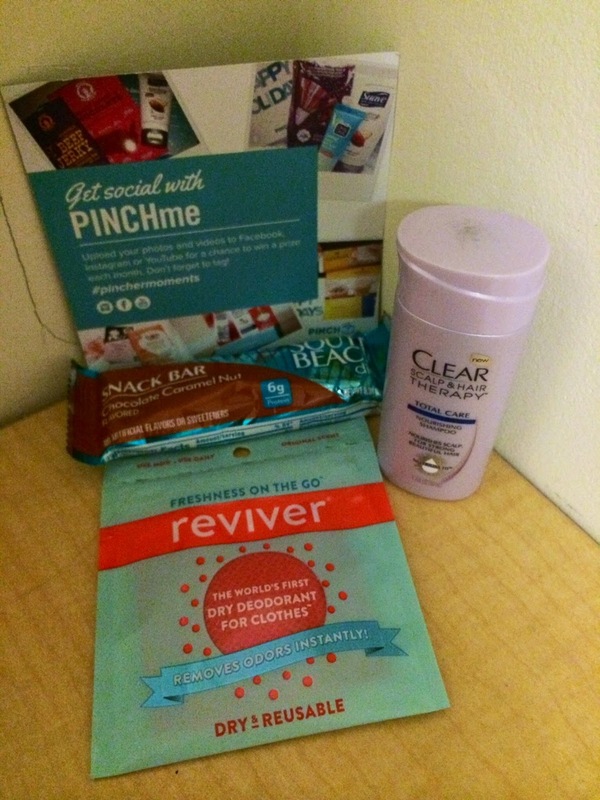 Anyways, now onto reviewing what I samples received from PINCHme!! CLEAR Scalp and Hair Therapy shampoo: I used this shampoo in the shower several times over the past week. It didn't have a very strong odor, and the shampoo itself was a little bit shimmery which made it pretty to look at. :-) After using it for a few days, I can say that while I didn't dislike the shampoo, it's not something that I'd purchase. For the past several months I've been using L'Oreal's EverPure sulfate-free shampoo line and loving it! I am so loyal to the EverPure shampoos that it would take a lot to make me switch, and this CLEAR shampoo just didn't blow me away. I noticed that my hair was a little frizzier then usual during the days that I used it. I also love the fact that my normal EverPure shampoo is sulfate-free- the less bad chemical I can put in my hair the better! So I didn't think that the CLEAR shampoo was bad, but it's not something I'd purchase on my own. I will probably save the rest of this sample for when I travel though! South Beach Diet snack bar in Chocolate Caramel Nut: Before I even start this review, I have to say that I absolutely despise most granola bars, energy bars, or any other sort of pre-packaged "bars." I think that's because as a kid I ate a ton of Balance energy bars... possibly so many that I got sick of bar snacks all together! 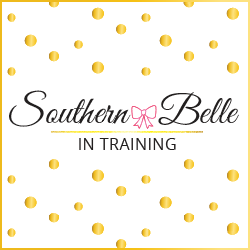 I ate my South Beach Diet sample bar with breakfast on a busy morning one day last week. I tried really hard to make myself like it... but I couldn't. To me it tasted just like a Power or Balance bar! Now if you like Power bars then you would probably love this, it had a nice texture and it has lower calories then other types of bar snacks! But since I' not a bar girl I was just not into it. Reviver Dry Deodorant Swipe: This product was unliked anything that I've ever seen before. It adverstises itself as a "dry dedorant for clothes," but the back of the package claimed that it also worked like a lint roller. I tested it out on a black pencil skirt that had some hair and dust on it. I was not very impressed with the Reviver Swipe, as it didn't take off any of the lint or hair on my skirt! I did notice that the product did have a nice fresh scent to it. But had my skirt smelled badly, I don't think that the Reviver scent was powerful enough to cover what would have already been there. I think the concept of the Reviver Swipe is good, but that it needs a bit more work! Not something I would purchase. I feel sort of badly that my reviews for all of my samples were fairly negative, but whenver I do product reviews on this blog I want to make sure that I'm giving a review that's 100% honest, and that was my honest review of my PINCHme samples! The shampoo was probably my favorite item out of the three; the main reason that I wouldn't buy it is simply that I'm very attatched to the shampoo and conditioner that I have been using for awhile. Have you had any experience with PINCHme or any other sample services? I'm also a member of Influenster, and I'm supposed to be receving a sample box from them very soon! Can't wait to review that as well. Stay tuned this week for my fashion posts and OOTDs from my fun weekend with some photographer friends!